Celebrity stylist Chloe Bartoli is collaborating with Rocket Dog for Spring 2018. Rocket Dog is known for their iconic platform which developed a strong following in the 90's and continues. 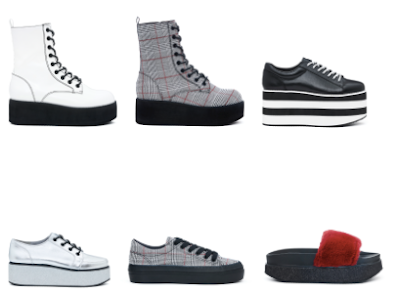 Chloe's collection which is done in different silhouettes, patterns and colors, takes the RD iconic platform in a chicer direction. RD has always had styles for everyone. However the loyal followers and the new millennials of the world will be pleased with Chloe's enhanced interpretation of the brand's platform styles. The best thing about this collection is that the styles are versatile and can be worn with almost everything in your closet. The Chloe Bartoli x Rocket Dog collection launches May 2018 and will hit www.rocketdog.com and key retailers nationwide and internationally.